The volume of nectarins that Sulce Fruits handles annually, reaches 3.000 tons originated from the departments of Pella and Imathia. 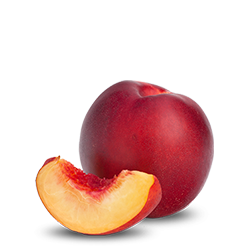 The countries to which the company exports nectarine are:: Russia, Ukraine, Bulgaria, Roumania, Poland, Hungary. The harvest begins, early June and is completed in mid-September.